Active advertising and marketing is the backbone of any business online or a brick and mortar establishment. Promoting businesses attract more prospective buyers in addition to the already existing customer base and hence, increases the Returns On Investment (ROI) to a great extent. The traditional way of advertising includes print ads, TV ads, ads on radios or in the newspapers. They have always been popular with a lot of businesses small or big. However, they come with their own share of disadvantages. Advertising through these mediums are expensive, plus you possibly need an additional resource or two just to coordinate with the various ad publishing companies and advertising agencies to ensure your advertisement is better than your competition’s and has a wider reach. In this day and age of digitalisation, where more people are choosing to shop online, it becomes inevitable to enhance the advertising campaigns and include online advertising as one of your main strategies for increasing business. In fact, a recent survey has shown that the number of people who shop online has increased from 10% to a humongous 85% around the world. This has been proven successful for all types of business models, not only shopping. 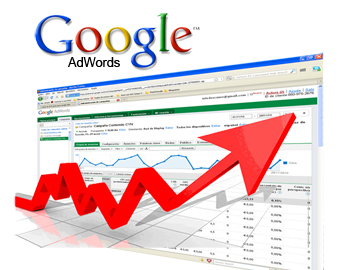 The introduction of Google Adwords has made it quite easy to advertise online. It’s a Pay-Per-Click (PPC) service that ensures your product reaches the people it’s meant for. It’s proven to be effective for all types of businesses local or international and big or small. There are many advantages to using Adwords as an advertising source, and to name a few are below. About 80% of the Internet users can be reached through the Adwords campaign. It’s quite powerful as it’s comparatively cheaper while having the ability to reach thousands of people all over the world in a short time. This ensures fastest returns plus works very well for businesses who have a limited budget. Adwords offers the ability to target your product to a certain country or countries. For instance, if you have a small business and your target audience are located only in Sydney., then you can choose to show your advertisements to people who are visiting a website from Sydney only. Their targeting options range from the entire world, a few countries, only one country, a specific region or city in one country, or then a few kilometres radius from the location of your business. With Adwords, you can set a budget and keep your advertising costs in control. This is one of the main advantages of Adwords. 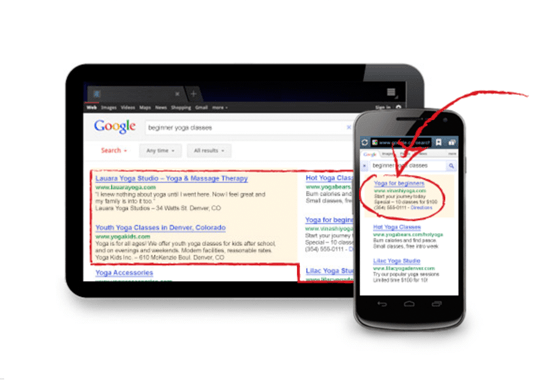 You only need to pay-per-click, i.e. when a user clicks on your ad and is directed to your website. The cost of each click also depends on the keyword. For instance, the number of advertisers who have bid on that specific keyword, quality score of that keyword, or relevance of the keyword to your products or services. Adwords doesn’t have any minimum amount. So, for the sake of experimenting you can choose to budget your online campaign as low as $10 per day or even less. The choice is entirely yours. All you need is about 15 minutes and your Adwords campaign can be up and running. As the consumer trend keeps changing, you can also change your advertising campaign to get the most out of it. What’s more is that you don’t have to pay extra as changing your Adwords campaigns is absolutely free and quick. There may be times when even your website may be overlooked in the search results by the user. With a guaranteed placement, Adwords will ensure that your advertisement appears on a relevant website and at different times during the day, increasing your visibility. Adwords gives you a monthly report by tracking each and every click. It’ll tell you which of the keywords got the maximum click, the keywords’ cost per click-highest or lowest, and the keywords that led to the most conversions in terms of leads or sales. This will give you an idea and will also enable you to alter your campaign to meet the changing requirements. If you’re a first time Adwords user, then Adwords has a wide range of tutorials and help guides for the beginners. By following the tutorials, you’ll be able to successfully set up your campaign on your own. However, if you would like experts to handle your Adwords campaign then we’ll be able to help you out. With so many advantages and very little risk involved in Google Adwords, it’s a win-win situation. However, if you’re not confident in running your own campaign or would like someone to handle all the hard stuff for you then we’ll be able to help you out.